The S-Drive Performance Trainer set up is fast and easy and it can be used effortlessly in sport specific power development programs and in HIIT training environments like circuit training. If you need to promote triple extension and leg power drills with sled pushes but you don’t have the space, no problem! The S-Drive treadmill will give you that true to life weighted sled pushing experience with eight resistance settings to progress your programming when required. When focusing on running velocity in an upright position, the S-Drive will provide that smooth- resisted – flight phase- sprint- feeling with its parachute brake ideal for developing speed. If you want to improve primary running technique, well the S-Drive will provide… the adjustable harness and its unique frame-mounted design, makes it easy for you as trainer to observe and provide real time feedback on different sprinting mechanics to progress athletes sprinting form. 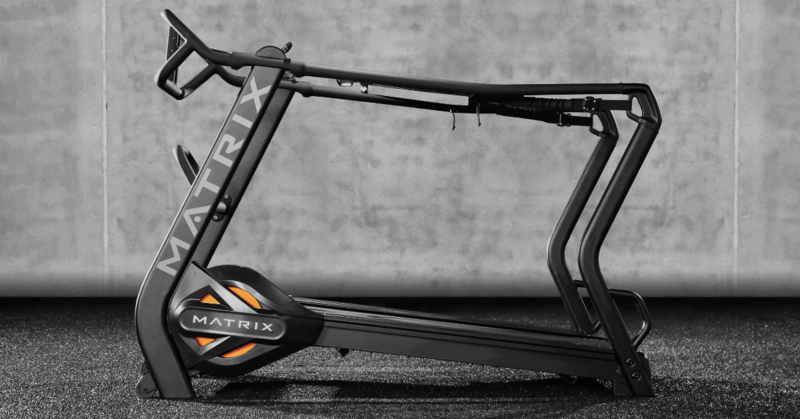 The S-Drive Performance Trainer can significantly enhance explosive leg power and speed endurance. In addition, athletes can improve overall agility and direction of leg movement by introducing forward, lateral or reverse movements in their S-Drive programming. Trainers can not only develop acceleration phase of sprinting, but also de-acceleration phase of sprinting on the S-Drive which promotes injury preventative conditioning as well. This piece of equipment is great for tailoring a variety of training programs to meet the extensive goals of athletes at all levels. Improve leg strength, speed, power and speed endurance (quadriceps, gluteal muscles, hip flexors, hamstring group). Multiple leg movement patterns = 3 dimensional leg conditioning tool- forward (anterior), lateral, and reverse (posterior). Great tool for Increasing (EPOC) exercise post oxygen consumption. Abundant metabolic stressor, for promoting weight loss by means of (HIIT) high intensity interval training. Full perimeter handrails help make entering and exiting easy. They can be used for stability during broad range of movement exercises in athletic training environments and for support in rehabilitation environment. Users are not constrained to pre-set belt speeds, so a wide variety of users can match their workout experience to their needs and fitness goals from unconditioned users and or elderly to advance level athletes. Ideal 7 degree ergonomic angle for developing speed. Pierre has educated, coached and trained athletes in a wide variety of sports at provincial and national level. He specializes in real world application sport science education and conditioning. His credentials and certifications include but are not limited to; Bachelor’s degree in Sport Science, Personal training specialist, group strength and conditioning specialist, Rugby science certification, Olympic lifting, Speed agility and quickness, Functional training, Sport specific conditioning, Sports ergogenic aids, Prehab and Reconditioning.